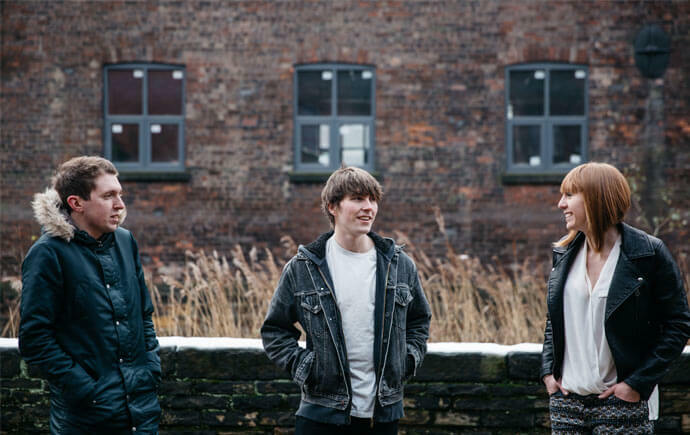 One of the most consistent bands on the Sheffield scene, indie trio FloodHounds recently released their third studio EP Look What You’ve Started – adding another six tracks of infectious blues rock to their already impressive repertoire. 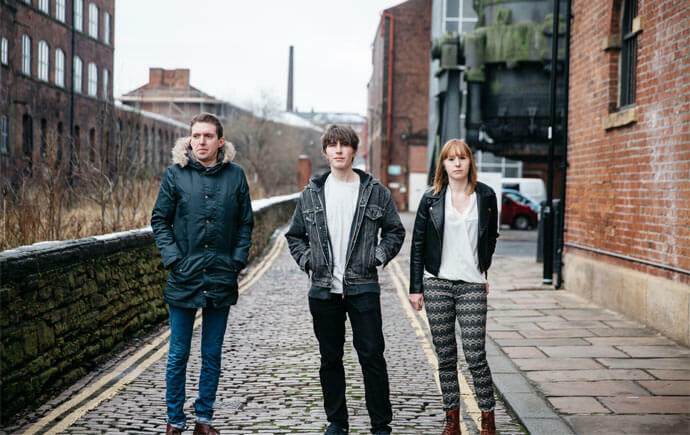 After giving the record numerous spins in the Exposed office, we were keen to get band in for a live session at Kelham Island Museum and grabbed Jack (vocals/guitar), Rhys (bass) and Lauren (drums) for a chat before the cameras started rolling. The new EP’s a belter. How was putting it together? Jack: Pretty stressful. We recorded six tracks in two days at 2Fly Studios, which I wouldn’t really recommend doing. Luckily, Alan [Smyth, 2Fly producer] knew what he was doing and it all came together well. Rhys: Yeah, we’d originally gone in with the plan of recording four, but Alan persuaded us to take it up to six. It makes it our biggest EP to date. Are there any particular themes which run through the record and tie the tracks together? Jack: I guess so, although I’m really conscious that I’m being recorded and I’m really bad at articulating stuff like this. Rhys: A lot of reviews went really deep into your lyrics and the meanings of the tracks. Jack: I know, and it’s funny as they tend to find things that I didn’t know were there! But yeah, I guess that there’s a bit of a conflict in the themes at times: the slowed down, more intense stuff like ‘Great Mistakes’ which is about the breakdown of the relationship; then there’s ‘A&E’ and ‘State of Mind’ which are more “chin up, son”, feel-good rock songs. And for the Exposed readers out there who don’t know much about The Floodhounds, give us a brief history lesson. Lauren: Definitely. I was originally supposed to just come onboard for to record an EP, but I ended up doing a few gigs and… wait… I’ve never actually asked if I’m a full-time member yet! Jack: You’ve been here two years. I think you’re safe. You’ve certainly earned your spurs on the local scene and are now branching out with the gigs. What sort of barriers do you think stop other young bands from doing the same? Jack: Having a car helps! Lauren: That’s another reason why I’m in the band I think! But yeah, because Sheffield is so good for unsigned bands it can be quite easy to get trapped in playing the same venues every month. It’s always good to take your music to other places. Jack: There’s also an element of luck involved – you know, having a mutual friend in a different city who puts you on to a good venue that books bands. 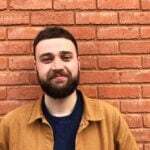 Rhys: We’ve been invited along to a couple of radio shows in different cities, and I think that’s maybe because our sound’s a bit more difficult to pigeonhole perhaps? Where do you guys stand on bands having strategies? Are they important – or is it more a case of right place, right time? Jack: I think it’s a bit of both nowadays. You need to be on the ball with regards to applying for gigs at the right times and spreading your music; but I suppose, on the other hand, most of the good stuff we’ve got have come out of the blue without us thinking about it too much. Streaming. Is it a good or a bad thing? Jack: Again, a bit of both. Obviously it gets your music out there, but it’s more of a promotional tool than anything to do with money. Lauren: It’s great to have your music available for anyone to listen to, especially for bands like ourselves. However, I think because so many bands are on it nowadays, it’s very saturated and easy to pass under the radar. It’s not really a big deal to be on Spotify, as anyone can get on there now, and that makes it difficult to stand out. And with regards about the wider music scene in general, are there any guitar bands that you think are flying the flag pretty well? Jack: I’m a huge fan of YAK and I’m seeing them in Sheffield next week. Drenge are also great; I saw them a few weeks ago and it was an awesome live show. As long as there are bands like that coming through, things will be fine. Lauren: Yeah, it’s good to see bands that you’ve been following on the live circuit years before doing so well. Rhys: I remember seeing Catfish and the Bottlemen playing SOYO years ago and their story does give you a bit of hope as a band. They’d just put in the effort touring non-stop for a few years and are now doing really well. What I particularly like about those bands is the importance they place on their live shows. So many bands have upped their games when it comes to gigging. Jack: The Fat Whites are another great example of that, they play one of the best live gigs you’ll ever see. And it’s sort of bad to watch, but also so good at the same time. Lauren: I think it kind of links in to what we were saying about streaming. That market is so saturated now that bands know they need to make their live shows count to make a name for themselves. And what’s the plan now the EP is out now? Will you be touring it? Jack: Yep, that’s the plan. We’ve got a load of gigs booked in for October and we’ve got more getting confirmed all around the north in November and December, plus we’ve got a gig in London to look forward to. We’re already working on the next batch of material, and we reckon we’ll be releasing them as singles in the New Year.